Mark D. Saunders, et al. v.
Truck Insurance Exchange, et al. is a California case regarding the legality of contracting for court reporting services. The case has attracted a lot of national attention in the reporting profession over the last eight years and was even featured on the NCRA website last year. A unanimous appellate decision was issued in the case in March. Because of the interest in the case, we are including the complete decision on our website for access by readers of our court reporter newsletter. APPEAL from a judgment of the Superior Court of Los Angeles County. Macklin Fleming, Judge (Retired Associate Justice of the Court of Appeal, Second District). Affirmed. Mark D, Saunders, in pro per, for Plaintiff and Appellant. Duke Gerstel Shearer and William E. Mayer, III, for Plaintiffs and Appellants Ann M. Saunders and Maryellen Baron. Jenkins & Mulligan and Daniel J. Mulligan, for Plaintiffs and Appellants Roger Duensing, Kathleen C. Bannon and Rex C. Hill. Sheppard Mullin Richter & Hampton, Don T. Hibner, Jr., and Michelle Sherman, for Defendant and Respondent Truck Insurance Exchange. Hadsell & Stormer and Dan Stormer, for Defendants and Respondents Ronald J. Peters, Barbara A. Peters, and Peters Shorthand Reporting Corporation. Murchison & Cummings, Friedrich W. Seitz and Scott L. Hengesbach, for Defendant and Respondent Kennedy Court Reporters, Inc.
Benton, Orr, Duval & Buckingham; Lawler, Bonham & Woo and Byron J. Lawler, for Defendant and Respondent Barney_Ungermann & Associates, Kathleen Barney and Charles Ungermann. Stubbs & Leone and Gregory E. Stubbs, for Defendants and Respondents Coastal Reporting, Stephanie A. Fox and Diane Williams. A direct contract between an insurance company and an agent for an “alliance” of court reporters did not violate statutory requirements for reporter impartiality, nor did it violate the antitrust laws. Mark D. Saunders and the other appellants are “deposition reporters”_ stenographers who record and transcribe depositions. Depositions are sworn pretrial interrogations of witnesses in civil lawsuits. Appellants sued respondents Ronald J. Peters, California Reporting Alliance, and others who also are deposition reporters and who compete with appellants. Appellants also sued respondent Truck Insurance Exchange, a liability insurance carrier. The gravamen of appellants’ complaint was as follows. Peters formed Peters Shorthand Reporting Corporation. Eventually he adopted for its use the fictitious business name California Reporting Alliance. Reporters traditionally are selected and engaged by the lawyers who represent parties in civil cases. Alliance, however, solicited and obtained Truck’s agreement to hire reporters from Alliance for all depositions needed in suits against doctors insured by Truck for malpractice liability. Truck agreed to use only Alliance reporters. Alliance offered Truck volume discounts on transcript purchases. Appellants claimed that the “direct contract” between Alliance and Truck unlawfully interfered with appellants’ prospective economic relations with lawyers. They alleged that the arrangement gave Alliance reporters an unlawful financial interest (prohibited by Code of Civ. Proc. § 2025, subd. (k)) in the cases it reported for direct contract clients; that Alliance’s undertaking to critique lawyer deposition performances violated a reporter’s legal duty to be impartial (Bus. & Prof. Code, § 8025); that the volume discounts violated Business and Professions Code section §17045, which bars secret discounts and rebates; and that the direct contract fixed prices in violation of antitrust law, since Peters, head of Alliance, set the prices charged by Alliance reporters. Appellants also alleged that the foregoing violations of law constituted unfair and unlawful business practices which violated section 17200 of the Business and Professions Code. After an earlier appeal in which this court reversed a judgment for respondents (given after demurrers were sustained), the case was tried to a jury. Appellants moved for a non-suit at the end of appellants’ case-in-chief, and for a directed verdict when all evidence was in. The following is a summary of the evidence before the trial court when it decided these motions. Individual deposition reporters – the holders of the licenses – work as independent subcontractors to reporting agencies; few reporters have an employee-employer relationship with an agency. The agency sets a price or rate per page of transcript to be charged to the customer, and pays a percentage of this rate to the reporter, usually 75% for original transcripts and 50% for additional copies. The agency provides an IRS Form 1099 to the independent contractor reflecting total payments during the year. Respondent Alliance, like other reporting agencies, subcontracted with other deposition reporters and agencies to actually report the depositions which Alliance contracted to report. Unlike other agencies, however, Alliance engaged agencies throughout the State of California, who in turn subcontracted with individual reporters, to provide deposition reporting services to clients who engaged Alliance’s services. Agencies providing services to Alliance were referred to as “members.” They signed a written agreement promising to adhere to Alliance’s standards of practice and to disclose certain proprietary information. They also were required to submit a valid business license, disclose their business history, and provide their normal schedule of rates. Alliance set the rates charged to customers for work performed on Alliance jobs. However, Alliance members remained free to compete for other deposition work. Truck’s defense of its physician-insureds required hundreds of depositions each month. Before it concluded the agreement with Alliance, Truck left selection of deposition reporters to the lawyers defending Truck’s insureds. The reporters issued individual statements, requiring Truck to process and pay hundreds of bills each month. Alliance provided Truck with “bulk” billing, aggregating the reporter charges to Truck in one or a few bills, reducing dramatically the number of checks Truck had to write, and saving thirty five to fifty five thousand dollars per year in administrative costs. Alliance offered volume discounts to Truck and other clients who bought large quantities of depositions. The discount was in effect from April to August 1992; during this period, Truck received a total of $1,900 in discounts. Alliance’s offer of volume discounts was widely publicized through mailers, phone solicitations, and in-person marketing. The discounts were offered to all Alliance customers. During the period the discount was in effect appellants’ business volume increased. The Alliance’s share of total California deposition reporting revenues in 1992 was three tenths of one percent ($1.5million = .003% of $433milllion). Truck’s deposition business accounted for less than 1% of all such business in California. At the times relevant in the case, there were 7,609 certified reporters in California. Reporters’ fees in general trended downward, and the number of reporters in the industry increased. A single witness, Peyton, testified that Peters said Alliance reporters might be asked to comment to Truck about lawyer performance, but Peyton knew of no instances where such reports had been made. Numerous reporters in respondents’ camp denied ever critiquing witnesses or lawyers, and a witness from Truck denied that her company relied on reporters to evaluate, critique, or train defense counsel. Appellants called as an expert witness a reporter from Georgia who was not licensed in California and was not familiar with California deposition reporter standards. This witness testified that a voluntary national code of reporters’ ethics prohibited reporters from offering to evaluate or critique the performance of lawyers at depositions. Appellants offered no evidence other than that just mentioned to support their charge that respondents departed from the reporter’s usual role as an impartial transcriber. No evidence was presented that any Alliance reporter had a direct financial interest in the outcome of the cases in which they served as reporters. The trial court granted a partial non-suit, and later directed a verdict for respondents on the remaining claims. This appeal followed. 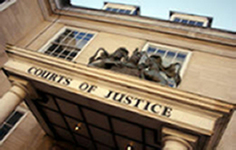 Appellants argue that direct contracts with clients give reporters a financial interest in the actions in which they report, an interest prohibited by Code of Civil Procedure §2025. However, the Code reference to a financial interest in the action is reasonably and usually construed to mean a share of the damages recovered in a case, or some other fiscal reward for a particular outcome – not pay given without regard to the outcome for services rendered. The vice of a financial interest would be to give the reporter a personal incentive to try to influence the outcome of the case. But there was no evidence in this case that pay for Alliance reporters was in any way contingent upon case or deposition outcomes. Reporters don’t usually work without compensation, and all of them are paid by clients. Lawyers are ethically forbidden to pay their clients’ litigation expenses (Rules of Prof Conduct, rule 4_210), and the evidence in this case showed that before the direct contract began Truck – not the insureds or lawyers – paid the reporters. The legislature cannot have intended to equate “financial interest’ with being paid for work. This strained construction would put the entire reporter industry in violation of the Code of Civil Procedure. Nor is pay for work under a direct contact transmuted into a “financial interest” because a particular reporter or group of reporters may get more pay from a particular client under a direct contract than they otherwise would. Appellants also urge that reporters’ impartiality, mandated by Business and Professions Code section 8025, is somehow undermined by “direct contracting” large blocks of business with clients. But the legislature cannot have intended that reporters be deemed in violation of the impartiality requirement by accepting pay from clients, since every reporter necessarily does so. Nor is there anything to indicate that the legislature intended to limit the amount of business a reporter could do for a particular client because of fear that impartiality would be compromised. In reality, there isn’t much a court reporter could effectively do to be partial to a large volume direct client (or any other client), even if inclined to do so. Reporters are not like arbitrators. They do not decide the case for one side or the other. They do not exercise discretion, except within the narrowest parameters. Their function is essentially mechanical: to accurately transcribe all the questions and answers, just as a tape or video recorder would do. A reporter’s effort to shade or tamper with transcripts would quickly become known, would surely be loudly protested by the affected parties and lawyers, and would expose the reporter to suspension or loss of license and livelihood. In this case appellants presented no evidence of any effort by Alliance or its reporters to show partiality in depositions conducted on Truck cases. Their argument is purely theoretical, and unsupported by any facts. Appellants also claim that Alliance violated ethical standards and the impartiality mandate by offering to evaluate and critique witness’s and lawyer’s deposition performances for the benefit of the party which hired the Alliance reporter. However, there was no evidence that Alliance reporters in fact ever provided such evaluations or critiques, and there was strong evidence that this did not occur. Appellants’ expert testimony from a Georgia reporter not licensed in California, to the effect that merely offering to provide critiques would violate a voluntary code of ethics espoused by a national reporters association, was not sufficient to support a jury finding that respondents engaged in conduct wrongful or unlawful under California tort law. Appellants urge that Alliance’s volume discounts violated the ban on secret rebates (Bus. & Prof Code, §17045). That section bars only secret rebates which injure a competitor and tend to destroy competition. The evidence was insufficient to support a jury verdict finding a violation. It showed that Alliance’s volume discounts were not secret, but rather, widely publicized; that appellants’ revenues increased while the discounts were in effect; and that the discounts were short lived and de minimi. . There was no other evidence to show that appellants or competition were injured. Appellants also claimed that Alliance’s direct-contracting arrangements violated antitrust law prohibitions on price fixing, because Peters selected the prices to charge for services each “member” rendered under the contract with Truck. California’s antitrust laws are modeled on the federal Sherman Act, and federal cases are applicable in construing California law. (Mailand v. Burckle (1978) 20 Cal.3d 367, 376.) Certain classes of antitrust violations have come to be viewed as so inherently anti-competitive as to be unlawful without inquiry into their actual effects. These so-called “per se violations” include conspiracies and agreements among competitors setting the prices they will charge (“horizontal price fixing”), or allocating territories among them. Most claimed antitrust violations, however, are analyzed under the “rule of reason” which examines and balances the pro_ and anti-competitive effects of the challenged conduct. Marketing by a group of competing sellers through a joint agent is not a per se violation, and instead is analyzed under the rule of reason. (Broadcast Music, Inc. v. CBS (1979) 441 U.S. 1 [per se rule does not apply to arrangement where association whose members are musical composers and publishers offers blanket licenses to performers to use all the members’ compositions, even though association unavoidably sets a price for the blanket license]; Appalachian Coals v. U.S. (1933) 288 U.S. 344 [exclusive selling agency for coal producers whose production accounts for 54 to 74% of coal produced in relevant market area, not a per se antitrust violation].) In Appalachian Coals, the court extensively analyzed the pro_ and anti-competitive effects of the joint selling agency, concluding that the agency was neither intended to nor had the power to fix or stabilize market prices, and was not unlawful. The arrangement between Alliance and the “members” with whom it subcontracted was similar to the joint sales agency in Appalachian Coals, and its antitrust legality is properly analyzed by weighing its negative and positive effects. Appellants presented no substantial evidence that the Alliance, or its direct contracting activities, fixed or stabilized market prices, or had other anti-competitive effects. Instead, the evidence showed both the absence of anti-competitive effects, and the presence of efficiencies justifying the arrangement. Alliance’s share of the total sales of deposition services was less than one percent. Reporters who joined Alliance remained free to contract outside the Alliance with other agencies, lawyers, or clients, at prices of their own choosing. Truck was not compelled to pay Alliance’s price or use its services – rather it chose to do so in order to streamline its use of reporters, and save administrative expense. Reporters’ fees on average continued to decline, while the number of reporters in the market increased. There was no substantial evidence to show that the Alliance unreasonably restrained competition. In summary, there was not enough evidence presented to support a jury verdict in appellants’ favor on any theory on which they claimed respondents’ conduct was unlawful, and the trial court did not err in granting non-suit on appellants’ claim for interference with prospective advantage,. Similar analysis leads to the conclusion that the trial court also was correct in granting non-suit on appellants’ claims under Section 17200 of the, Business & Professions Code. That section required a showing that respondents engaged in an “unlawful business practice.” But, as discussed above, there was no evidence of wrongful or unlawful business practices sufficient to support a jury verdict against respondents. The trial court did not err in granting non-suit on this claim.